Paul Perry is rarely without an early-running two-year-old and this year is no different. The Newcastle trainer will saddle up debutant Varsity (Exceed and Excel x Nediym’s Glow) in the Kirkham Plate at Randwick on Saturday. 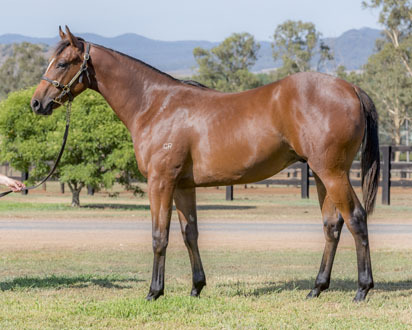 A $170,000 Magic Millions yearling purchased out of the draft of Amarina Farm, Varsity is regarded as one of the outsiders in the eight-horse field but has shown Perry enough in two barrier trials to warrant a trip to Sydney. “In his first trial he had one or two horses come over (near him) and he sort of baulked at them and dropped right out, but he ran home terrific,” Perry said. “At Gosford we rode him in behind a couple and he trialled nicely there and he’s gone on since.